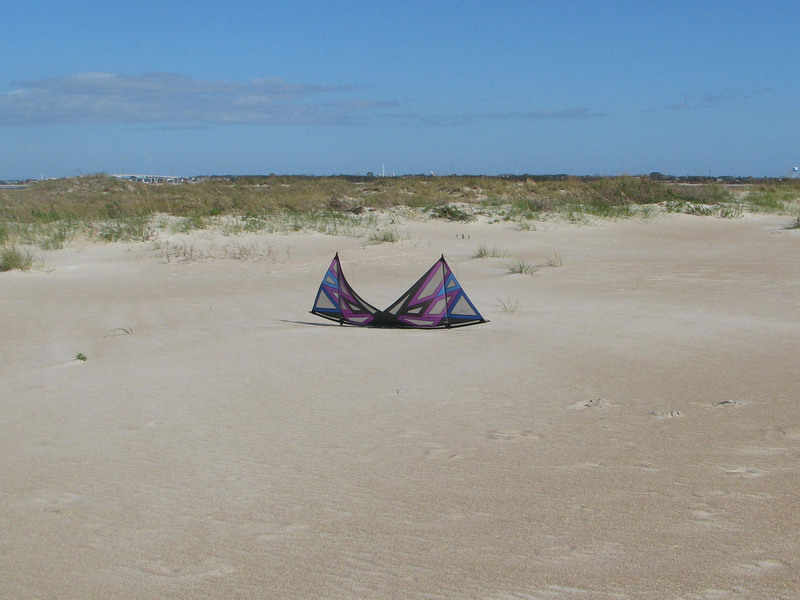 You are currently browsing the tag archive for the ‘Carolina Kite Club’ tag. My new kite from Peter Lynn of New Zealand arrived just before the festival. Unfortunately, the winds were too high for me to fly it. So in the middle of the week we made a trip to the beach to put it in the air for the first time. It is really a kite show in a bag. 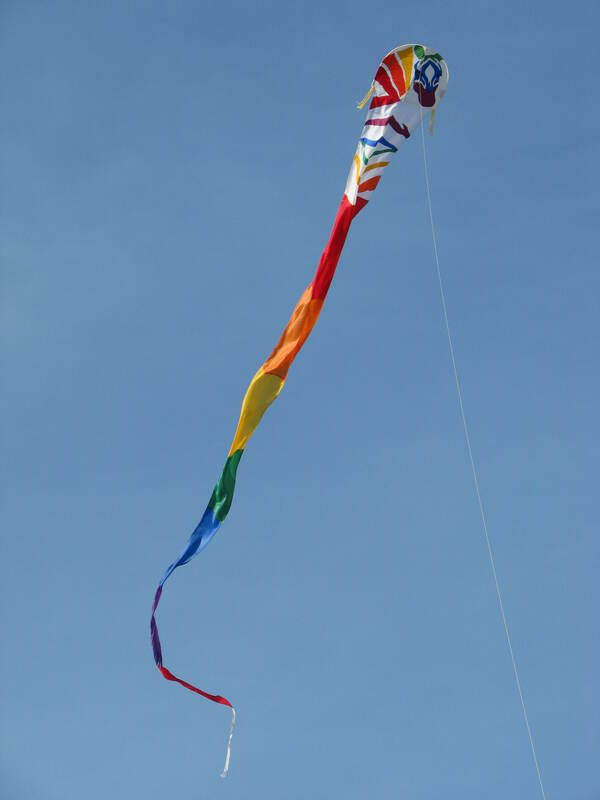 It is made up of a lifter kite and a fish, a skate and a crab to hang from the flying line. I was a little nervous as I never had flown anything like this before but I’m not nervous anymore. It was a breeze to put up and really looked great. I couldn’t stop smiling. 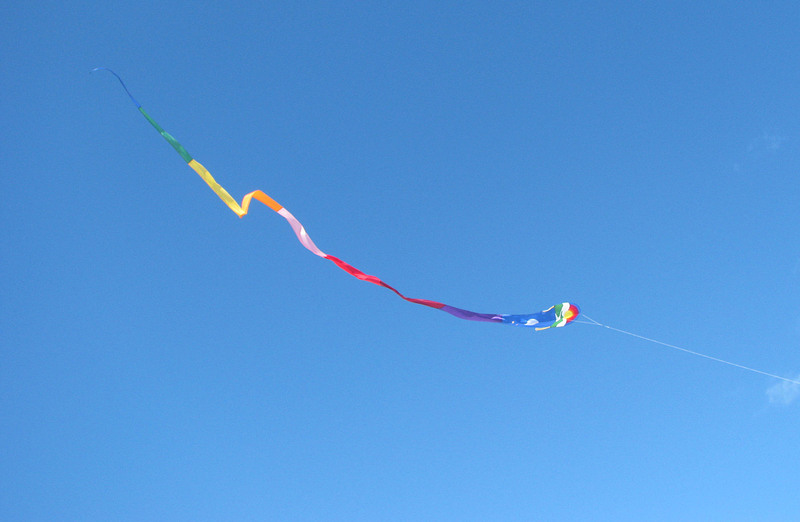 Just like the Carolina Kite Festival this past weekend, the winds were high for the weekly community kite fly. According to a couple different weather apps, the winds were supposed be on the high side in the morning, dropping to more manageable speeds as noon approached. Well, they had it wrong again. The winds only picked up as the day progressed. Since we hadn’t unpacked the kites from the truck after the festival, we were able to select some kites which could handle the wind. And the kites of choice were a variety of deltas. 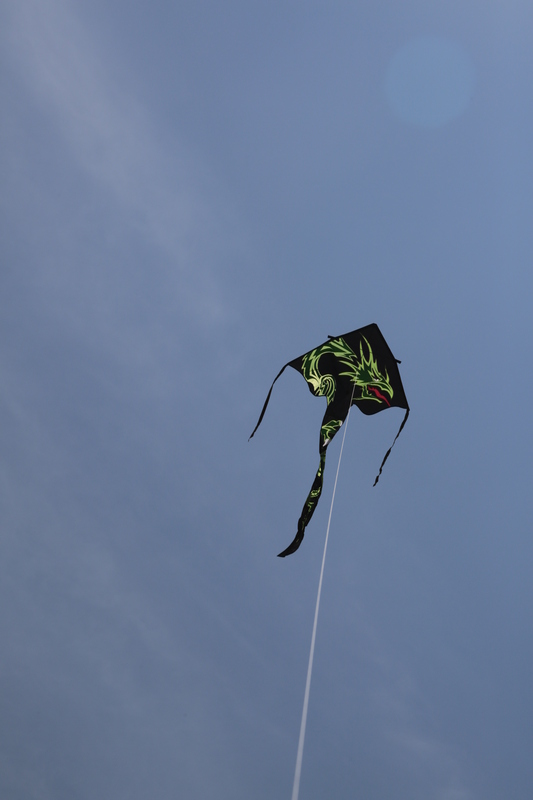 Another type of kite which handled higher winds is the dragon. And the White Bird dragons flown by our friend Steve added to the show. For the first time in months, I got out one of my quad line kites, the Vertigo Max, vented for higher winds. Stunt kite flying is a lot like riding a bicycle. You never really forget how to fly, you just get a little rusty. And it all comes back quickly. It made for a fun morning. 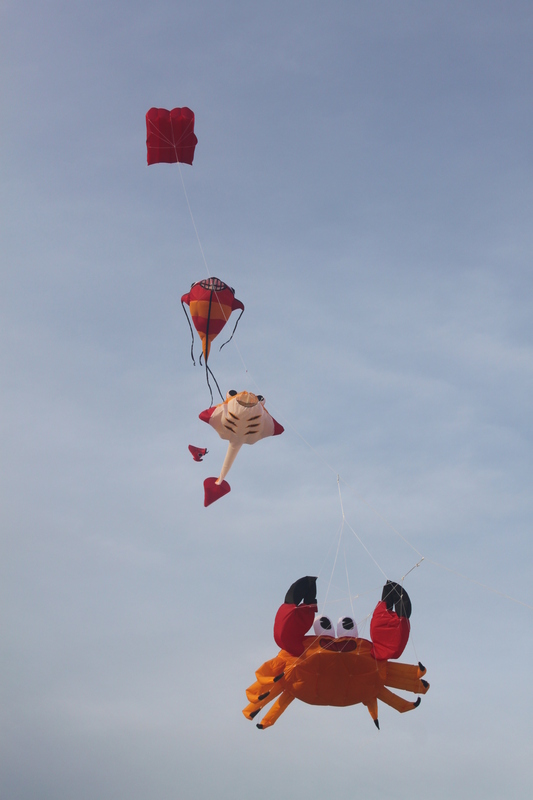 This past weekend was the 31st Carolina Kite Festival at the Sands Villa Resort in Atlantic Beach, NC. This festival is sponsored by my local kite shop, Kites Unlimited & Bird Stuff, Etc., also found in Atlantic Beach, NC. We had no idea how this one would be attended as Hurricane Florence hit us hard and many people are out of work and out of their homes. Also, many of the hotels and condo units were damaged which made accommodations in the area harder to find. But it didn’t deter most of our regular out-of-town flyers. The weekend started with very high winds and chilly temperatures. It rained the Friday before and was cloudy most of the day Saturday. The winds kept a lot of the attendees from flying their single line kites as no one wanted to have a broken kite. Luckily, the winds were blowing steady down the beach which made it much better for the large kites to fly. And there was a grand show of large kites. The weatherman was both right and wrong about the weather on Sunday. The sky cleared and the sun came out which warmed up the afternoon. But the winds never let up, came across the buildings along the beach and became more turbulent. 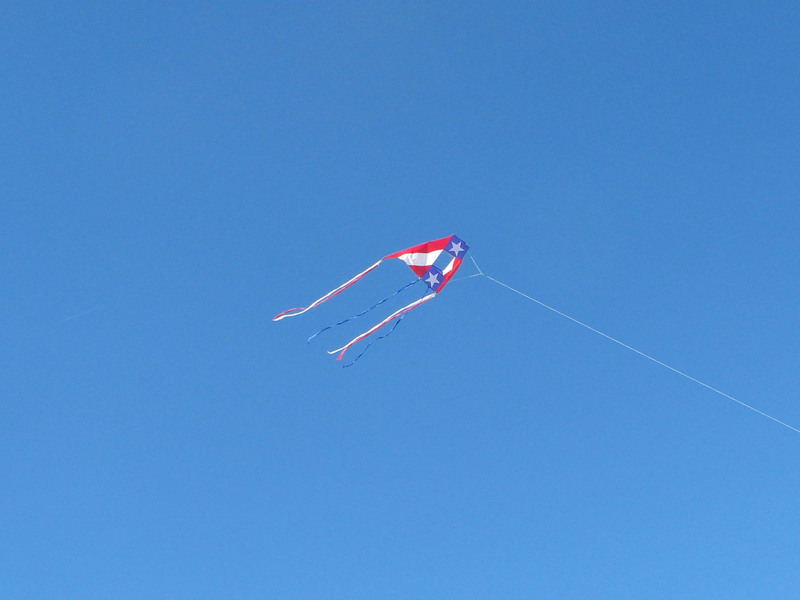 Fewer big kites were flown. But there were more people with their single line kites out on the field. A couple of our special guests this year were Ray Wong and Randy Tom. Both are makers of art kites and hail from California. And both brought kites to be sold at the kite shop.. Photos of their kites are on the Kites Unlimited & Bird Stuff, Etc. Facebook page. The Bay Area Sundowners Kite Team came from San Fransisco to perform both days. They are always a joy to watch. They perform routines flying stacks of thirteen hyperkites in red, white and blue. Many spectators come year after year to see them perform. Saturday’s wind was a little too high but they gave it a try anyway and did a good job. The slighter winds on Sunday were better and the team flew a couple different routines throughout the day. 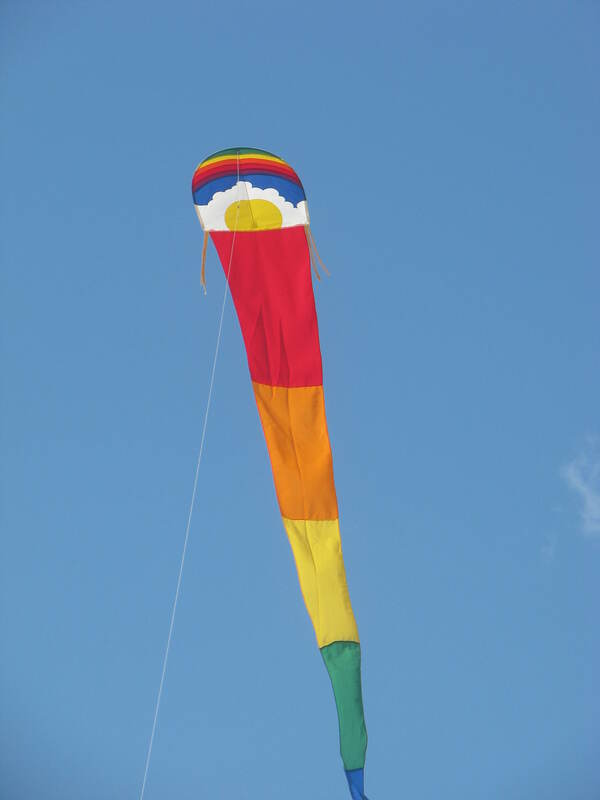 On the third kite field, the stunt kites were flown. Dual line and quad line stunt kites were in the air as the wind and the whim of the flyers allowed. Along with all the flying, there was a kids’ kite building table for children to decorate and assemble a small sled kite and a candy drop from a high-flying delta kite. A few brave souls even went out on the beach Saturday night to fly their kites with lights on them. I emphasize “brave” as it was very cold after the sun went down. Although it seems that I spent most of my time running around with my camera photographing the event, I did get to fly a couple of my single line kites, a friend’s quad line kite and visit with kite flyers I hadn’t seen in quite some time. The festival was deemed a success and plans are already in the works for next year’s event. For more pictures and some video from the festival, check out the Kites Unlimited & Bird Stuff, Etc. Facebook page (Kites Unlimited & Bird Stuff, Etc.). Fort Macon State Park is open. Although the fort itself is closed because of damage from Hurricane Florence. The early report concerning the weekly community kite fly was encouraging but we couldn’t verify the information because we weren’t there. Whereas kites are important, grandchildren are more important. And our youngest granddaughter turned three. There was no way we were going to miss the party. 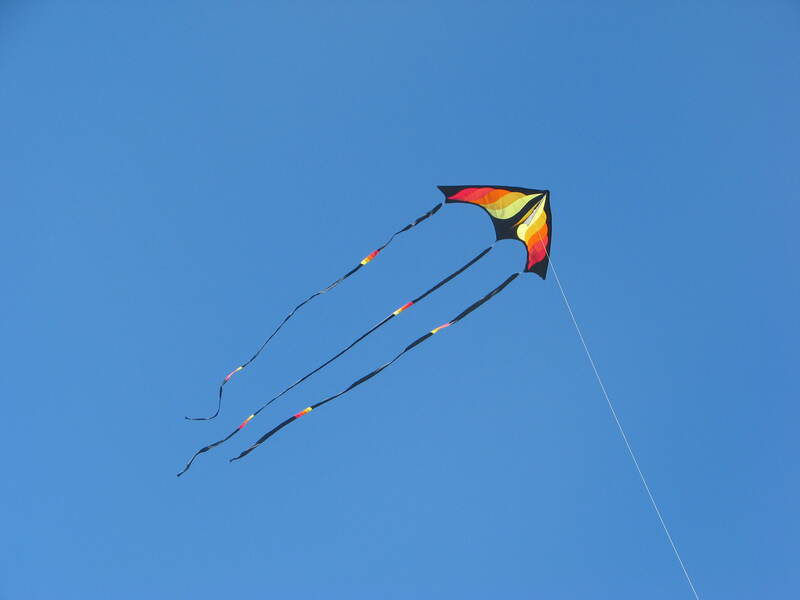 As seems to be the rule, the day was perfect for kites and we were absent. No doubt we will hear about it when we stop at the kite shop. 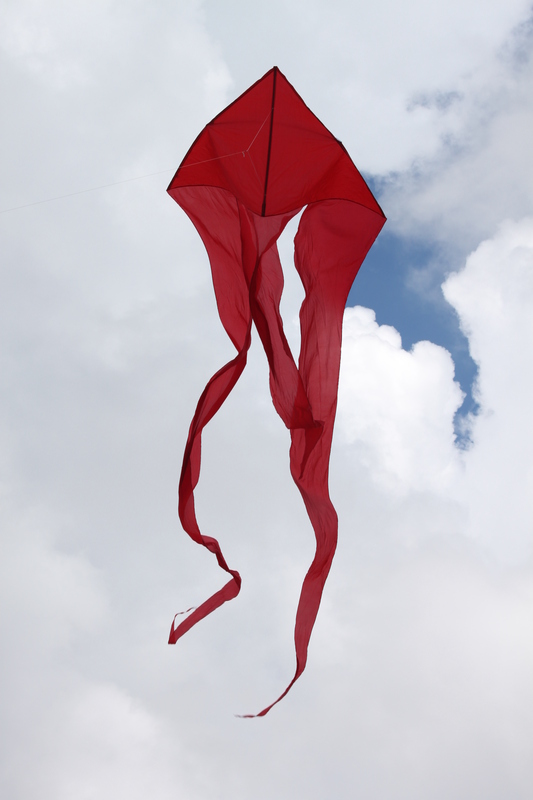 The good news is the Carolina Kite Festival will go on as planned. It will probably have a different “feel” than other years because of the hurricane recovery. We have no idea how many participants can or will come nor what kind of accommodations will be available. But there will be color in the sky and camaraderie on the sand. Of that we can be sure.